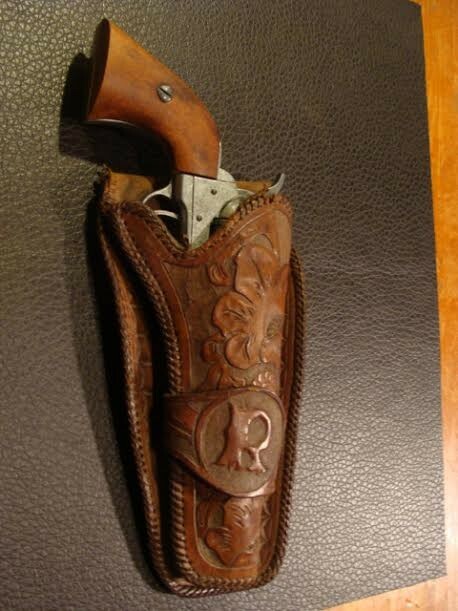 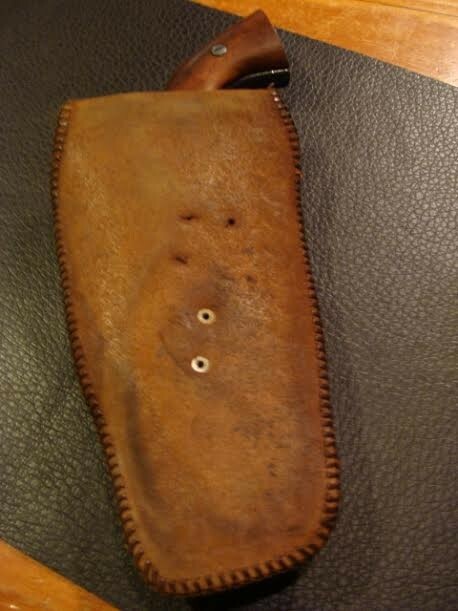 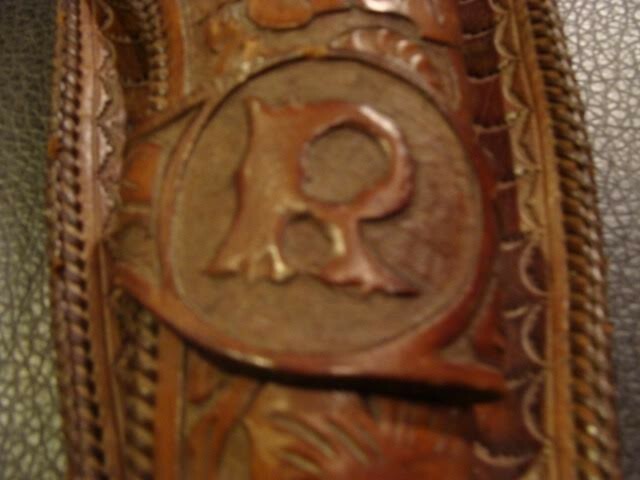 This is a beautiful Cowboy Holster Hand Carved out of Saddle Leather from the early 1900 s with unbelievable Floral design and the Initial “R.” As shown a Colt .45 cal. 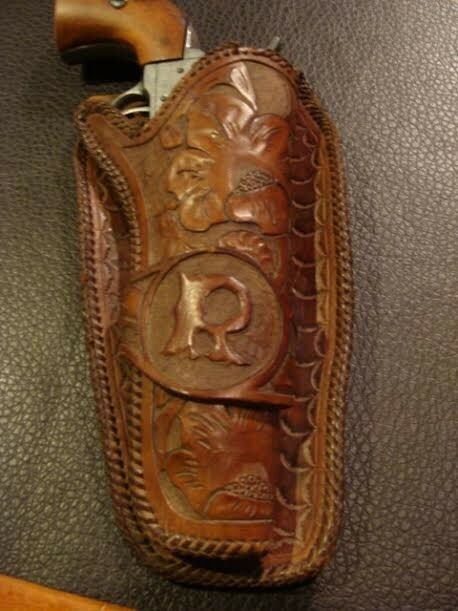 Peacemaker fits real nice. 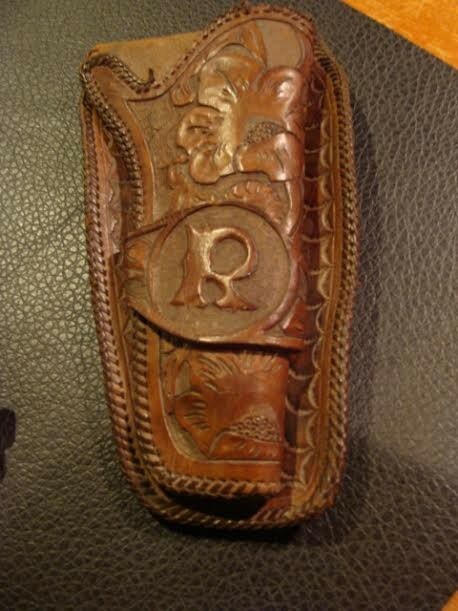 A great gift for that special Cowboy or Cowgirl with a initial “R” in their first or last name. 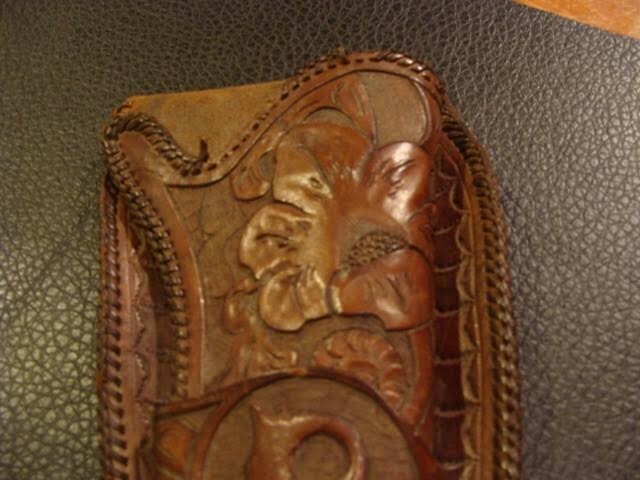 This is style is called the ‘double loop.’ Please email cowboycabin@centurytel.net with questions or call 406 270-2842.